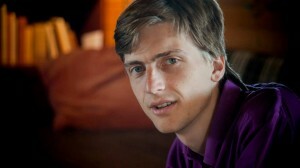 Martin Winiecki is the coordinator of the Institute for Global Peace Work in Tamera, Portugal. 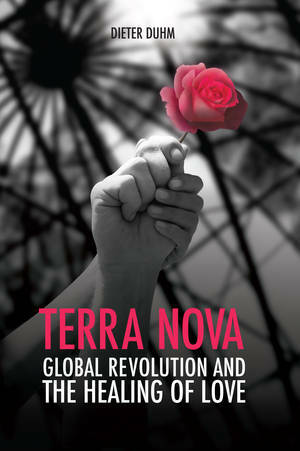 Terra Nova is a movement, a school, a community, and a vision for a world at peace. He speaks with me about the community and the book he helped translate from German by Dr. Dieter Duhm called Terra Nova: Global Revolution and the Healing of Love. Martin is on a nationwide tour to promote this vision of holistic “system change – environmental stewardship; establishing new paradigms for love, sexuality, and partnership; inner peace work; and global peace work” and will be in Portland Saturday, October 24th for a presentation. Thursday, October 15th at 8 pm on WETS, 89.5. Sunday, October 18th at 8:30 am on WPVM, 103.7. Sunday, October 18th at noon on WEHC, 90.7. Sunday, October 19th at 2 pm on WETS, 89.5. Monday, October 19th 1 pm on WEHC, 90.7. Wednesday, October 21st at 6:30 pm on WEHC, 90.7. Via podcast 11 am Pacific, Sunday October 18th.